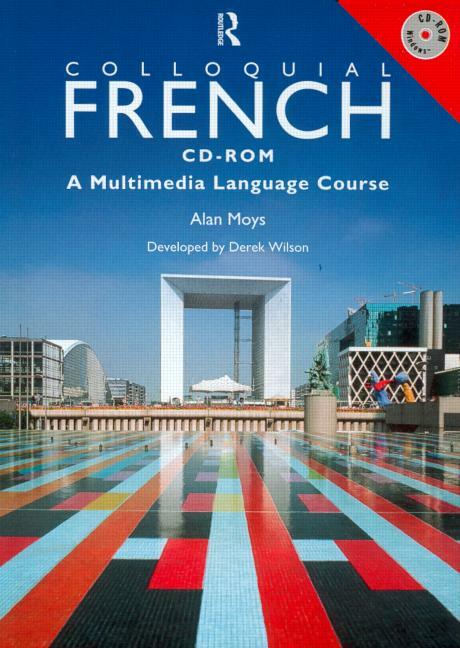 Colloquial French CD-ROM is an exciting and easy-to-use multimedia language course. Routledge's acclaimed Colloquial Series provides accessible and authoritative courses in languages as they are used today. This CD-ROM dramatically expands on material from the Colloquial Series, incorporating all the benefits of multimedia learning to ensure you get the most out of this highly enjoyable language course. Ideal for beginners, this course will also appeal to those with a basic knowledge of the language, or who are seeking a refresher course. A range of everyday travel, business and leisure situations are covered in fourteen lessons. The content of the lessons has been written by an experienced teacher of French, and the program created by an experienced multimedia designer. By the end of the course you will be able to communicate confidently and effectively in French. You will also find this program simple and fun to use with even a very basic knowledge of Windows TM. * dialogues from native speakers which you control at the touch of a button. No more rewinding tapes - just point and click! With Colloquial French CD-ROM you can enjoy learning at your own pace - at home, when travelling or at work - wherever you have access to your multimedia computer.